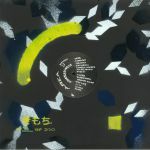 Review: The headspace Area's Kimochi Sound label inhabits is very much compatible with that of Rough House Rosie, and both labels have similar legacies of championing unsung talents. 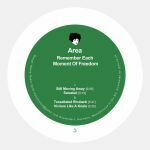 Now Area appears on Rough House Rosie with some of his beguiling abstractions on the deep, smoked out techno blueprint, and it's a match made in heaven. 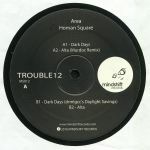 "Sweated" courses through a mysterious landscape of blown out low end riffs and distant textures, while "Still Moving Away" locks into a steadfast techno roll that complements the lingering notes hovering overhead. "Vicious Like A Koala" is a minimal workout based around an unusual drum set and a looming one-note bassline, and "Tessellated Rhubarb" finishes the EP off with some haunting ambient musings.